Amazingmail offers an automated print-mail service for businesses to send B2B and B2C marketing campaigns through the post. The web-based solution offers a direct mail web portal from which you can design and deliver mail automatically. You can store your own card gallery, integrate data from your other systems such as addresses and personal details, enforce business rules and lock-down design steps. The platform also includes custom reporting. Amazingmail helps to build timely, targeted direct mail marketing campaigns by letting you set up event-trigged automatic mailing. You can assign variables to text that change for each recipient and have these cards automatically printed and mailed based on events such as thank you cards when a customer makes a purchase or appointment reminder cards. Amazingmail also offers a mobile app for sending cards on the go. There are currently no reviews of Amazingmail. Pricing is based on the type of mail you send. Enhancements: Choose to add pop-outs, perforations, scratch-offs and image personlization and variable data. Tracking: Use personalized landing pages, QR codes, call tracking numbers and business reply mail to track campaigns. Custom portal: Use the customizable direct mail web portal to integrate data from your systems, email and communications tools, enforce business rules and acess custom reporting. Graphic design: Use royalty free designs, design your own or get the Amazingmail team to create a custom design for you. Targeted Mailing List: Amazingmail partners with Infogroup to access a mailing list database with information on nearly every business and household in the US and Canada. You can set geographical and demographic criteria before purchasing your mailing list. Below are some frequently asked questions for Amazingmail. Q. What type of pricing plans does Amazingmail offer? Q. Who are the typical users of Amazingmail? Q. What languages does Amazingmail support? Q. Does Amazingmail support mobile devices? Q. Does Amazingmail offer an API? No, Amazingmail does not have an API available. Q. 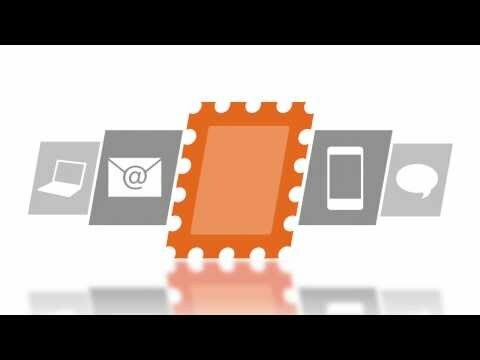 What other apps does Amazingmail integrate with? Q. What level of support does Amazingmail offer? Q. Which apps is Amazingmail compared to most often?